We make all sorts of woven wear for women and men in our factory. We are ready to supply any woven wear product of any style,color,size and specification.In this field we have a superior experience. We never compromise with the quality that is may be your first demand. Fashion and Sunsea Xpert Clothing Ltd goes simultaneously. We have also workwear and uniform unit where we make them for workers, police, guard, medical, healthcare, chef, housekeeper, school boys & girls. Excellent foreign and local fabric, Finest finishing, Best fit, long term durability, lighter to heavier weight, Better drap properties. We have one extra good will to make extra large size products as well as casual and formal dress wear in Bangladesh. We understand the demand of modern clothing customer. Woven Wears There are 66 products. Sunsea Xpert Clothing Ltd has evolved into a leader in men’s fine shirt manufacturing in Bangladesh. Today, the name represents an international symbol of modern factory, and time-honored standards, vision and commitment. It is our work to simplify and de-mystify the process of buying for custom-made shirts. Whether fabric descriptions or collar explanations, we try to keep them fun and original, making it easy to understand. The derivation of our shirts is very important to us. We’ve selected a select group of fabric vendors from across the world. Only the finest raw materials are sourced. Every detail is examined. Our manufacturing process involves only modern machines and well defined processes. The best shirt is just a sum of its parts. Our produced men’s shirts feature a wide range of styles and colors, so whether you’re looking for casual, formal, or somewhere in between (semi-formal or semi-casual), you’ll be able to find something to suit the occasion while looking fashionable. As well as looking fashionable, our shirts are also competitively priced for an extra bonus. We use two main types of fiber qualities: man-made and natural. Popular man-made fiber is polyester and also we use poly/cotton mixed fabric, tencel, viscose, nylon, cotton/spandex. Some natural fibers what we use are linen(the first used historically), hemp, cotton which is the most used, ramie,wool, silk and more recently bamboo and soya. Fabrics for shirts are called shirtings. The four main weaves for our fabrics are plain weave, oxford, twill and satin. Fil-a-Fil, Broadcloth, poplin and end-on-end are variations of the plain weave. And some derivatives of twill are chambray, dobby, broken, combined, diamond, diaper, diagonal, herringbone, shaded, stepped etc. 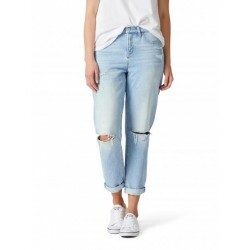 Womens casual pants Manufacturers & Suppliers - Sunsea Xpert Clothing Ltd. 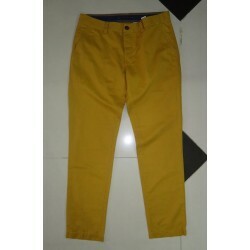 Prominent & Leading Manufacturer from Dhaka Bangladesh we offer stylish mens track pant, mens casual track pant, m&l casual track pant, men track pants, men's track pant and men's modern track pant. 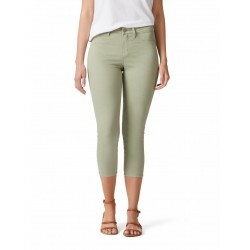 For those days at the office when you don’t need to impress clients or attend important meetings, casual pants are a perfect choice. 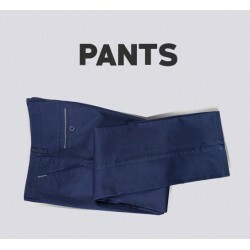 Sunsea Xpert men’s business casual pants come in many different colors, as well as a variety of materials. Whether you are looking for corduroys, denim, or khakis, you are sure to be impressed with our selection. Thank you for taking a moment at Sunsea Xpert . Whether you’re interested in our casual or dress pants options, our commitment to quality runs throughout . In order to be your trustworthy private label shorts distributor, we listen and respect all of your opinion and ideas. Just decide if you are looking for shorts that are casual such as denim or a little dressier like khaki. Our shorts selection is the ultimate in summer comfort. 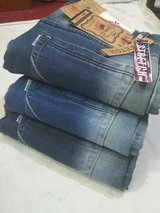 Beside doing private label for shorts, in Dhaka Bangladesh, we offer bulk manufacturing and wholesale service with competitive prices, fast and timely delivery thanks to the exceptionally effective One-stop-shop service. Sunsea Xpert has strong capacity and long-term experience in the development, manufacturing and trading textile products and we firmly believe that our understanding and knowledge can bring tremendous satisfaction to you. Our high standard materials such as Polyester, Spandex, Cotton…can give your ordered shorts outstanding quality. Imagine a short which is lightweight, sketchy, flexible, durable, breathable and ecofriendly? Who is gonna underestimate it? Place your trust in us, our professional management and working team wont let you and your customers down. Last but not least, we offer competitive prices with fast and timely delivery, providing you enormous advantages over other opponent brands. Whether its mid year or winter, Jacket is an all time favorite fashion statement for men. Sunsea Xpert Wholesale is perceived as the most prestigious and trustworthy jackets manufacturers and wholesale suppliers in Bangladesh, USA,Australia and Canada. Sunsea Xpert International offering eye getting gathering of wholesale jackets with incredible cuts and designes. Our designers team of Sunsea Xpert Clothing don't rest except if they have aced most recent innovation and increased enormous information about ongoing style patterns to have the capacity to remain top over everything. Sunsea Xpert is a woven factory, specialized in bottoms. 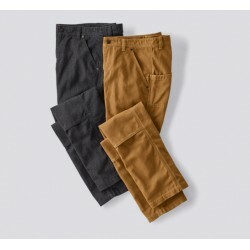 Mainly 5 pockets/Cargos/Chinos in Denim, 100% Cotton Twills, Canvas, Ribstop Etc. and also Jackets. We have setup 2 factory units and are producing approximately around 20,000 pcs per day. We have setup the following 2 units to meet our customers demands. Sunsea Xpert team focuses on developing a perfect balance between fashion and sustainability through treatment and fabric. 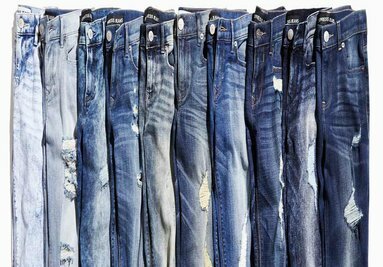 Without compromising quality, we have eliminated many harmful practices to develop high quality denim fabric that become a staple in world class denim wear. Workwear Manufacturer providing OEM service for a wide range of workwear products. In our effort of helping workers performing their best in working time with more than 100% of their concentration without and distraction created by the discomfort when wearing poor quality pieces of workwear, Sunsea Xpert provide an One-Stop-Shop OEM service for high quality and functional workwear products. With decades of experience in this garment manufacturing industry, Thygesen deeply understands what makes the quality and the function of a workwear product. It should be highly adaptive with the requirement of working environment & industrial machine washing conditions. In other words, it should be very stable in their from as well has have the best color fastness and low pilling. In addition, it should be light in weight, breathable and especially very absorbent and quick-dry. I guess that many other manufacturers also understand how important those properties are, but the point is that we are capable enough to make it right. At Sunsea Xpert , we have both fabric & garment factory. We can manufacture a wide range of workwear with the right fabric. Fabric which can be developed and manufactured according to customer’s request of the performance is one of our best strengths. Our in-house yarn & fabric experts know exactly how to make a fabric with expected properties. Many kinds of materials are available here which can be used to make different blends. Therefore, if you are not really have expertise about fabric, we can help you to select and suggest you. When it comes to our garment factory, we also have talented and experienced developers and technicians who can help to bring your product idea to life in gorgeous samples and products. 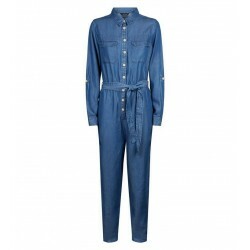 We are focus on making each piece of workwear fit well with the wearer in each market with still allow them free moves. That’s no problem if you do not have a completed tech-pack as we can work it out from your samples, some images or even directly from your product ideas. Combining this with our production capability, we are definitely been able to provide you and One-Stop-Shop OEM service. Cutting waste and quality controlling are also highly focused. We inspect 100% of materials before manufacturing and have in-line QCs to make sure that any mistake should be detected and resolved immediately. We invest in training programs which make sure that all of our workers master every garment techniques and then fit well with any position in our LEAN production lines. There for, our proficiency is significantly improved. Enduring the profession, flexibility and adaptiveness in how we provide our OEM service to our customer are what we are always pursuing every days. Contact us today and experience how our service help you save time, expense and effort with the quality commitment. Sunsea Xpert As a reputed manufacturer and supplier, we are bringing forth an exclusive collection of Polar Fleece Jacket . The offered polar fleece jackets are designed and manufactured by creative designers . We are Leading manufacturers, exporters, suppliers, wholesalers and traders of high quality Mens Fleeces For Mens. Our these Wholesale Fleeces are made from excellent quality fabrics, a wide collection of Polar Fleece Jackets. A perfect choice for adding elegance to one’s personality, our beautifully designed Jackets are provided in various colors, prints. Sunsea Xpert is manufacturer & supplier of assorted types of jackets. Also supplying high quality range of winter polar fleece jackets as per customer needs with their required customization's and privatizations. Both the men's and women's winter jackets are available in different models and material options. We also supply promotional fleece jackets & vest, polar fleece hoodies, pullover hoodies, promotional fleece vest in high quality fleece & polar fleece fabric. All these could be supplied with customer own required branding and private labeling. Special service for promotional orders also provided. We have facility of branding of all types including custom printing, direct embroidery, embroidery patches, applique, silk screen printing, heat transfer printing and sublimation printing. We can also supply all our products with customers branding, labeling, tagging & packing requirements. Our other product range in casual & leisurewear includes the Custom T-Shirts, Polo Shirts, Sweat Shirts, Fleece Hoodies, Softhshell Jackets, Varsity Jackets, Shorts, Trousers, Golf Shirts, Sports Shirts, Caps, Tank Tops and many other on demand products. Sunsea Xpert is manufacturing and supplying a collection of comfortable Fleece Jacket. These jackets are very soft, smooth and comfortable to combine with jeans and shirts. Offered range has excellent design and durability. We offer very sturdy and long lasting fleece jackets with great design and premium strength ideal during winter season. Our entire stock is designed by using excellent quality fabric in advanced manufacturing unit. We offer Fleece Jacket to our clients at best of market price. Sunsea Xpert is manufacturing Utilizing dedicated specialty sewing machines manufacturing swimwear seamlessly perfectly sized & graded time after time. Nobody beats our quality of workmanship, our grades of recycled Italian & American fabrics, our digital prints, or our prices. we've been creating underwear & swimwear here for over 40 years. Everything from the initial concept, sourcing, design and production is completed right here, all under one roof. SUNSEA XPERT controls each of the 20 manufacturing steps to ensure our swim shorts and beachwear are produced with the highest standards of quality. We ensure commodity and trust by manufacturing each garment through skilled dexterous hands. When it comes to board shorts for surfing, the 2 most popular styles are based on length. You have your short board short which sits above the knee at a length of approximately 19" and your long board shorts at a length of approximately 22" which sit just below the knee. No matter which you choose; your designs, colours, and print options are endless in both styles. Get creative! Whatever designs you can conceive of, it can be printed. Printing options for board shorts are digital and screen; the majority are digitally printed. This is because some of the intricate detailing that digital printing can do, screen can not. However, as screen printing fully penetrates the fabric; whereas digital does not; it is less likely to fade as quickly so has a longer wear life. Sunsea Xpert Board shorts, just as the boards, are an investments. 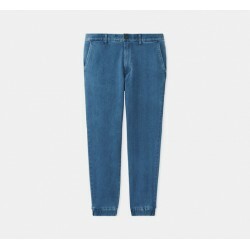 Something you don't necessarily want to buy every season, or you find your favourite fit and nothing else compares; you want them to be durable and made for wear and tare. Using microfibres and microfibre blends with spandex will have give you a longer usage life. Think of this not only when you are manufacturing but when you shopping too. Extending the durability of your board shorts starts at the seams. Around with waist line, hips and pockets, it would be suggested to use double stitch but along the inseam, groin and outseam, using triple stitch would be best. Use a strong polyester thread as well. All board shorts will have a pocket on them. The placement of the pocket, the closure type or the venting holes might vary from style to style but overall, they have the same purpose. The best closures is either velcro strips or a zipper. Velcro is the cheaper option of the 2 but if you do choose velcro, choose a high quality velcro that will lasts the life of the shorts. Zipper come in a wide range of qualities, so once again, choose one that will last the life of the garment. Waterproof zippers are available too if that is the preferred option. Grommets (metal) or eyelets (sewn) will be added into the pockets to allow water out faster. The same result can be accomplished but adding a small piece of mesh fabric; possibly imbedded in your brand logo. The last addition to most board short pockets is a key loop. This is a small "looped" piece of elastic thread which allows you to secure your keys (of other) inside your pocket without fear of loosing them. Sometimes there will be a double liner to secure them even more. Finally, a lining, to have or not to have? It really all depends on the manufacturers and designers preferences. You may find that some board shorts will have it, while others may not. If there is a lining, it is usually made out of a polyester mesh. But what about using organic cotton mesh, it is softer, natural and feel more comfortable. 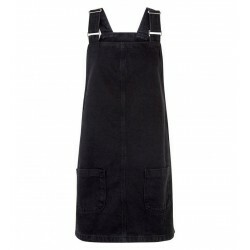 Blue Acid Wash Short Dungarees 90s vibe in these acid-wash dungarees. Pair with a simple stripe tee and lace-up boots to finish the look. Camo print Casual fit 100% Cotton. Create new-season looks with these khaki belted denim shorts. Wear with a shirt and boots to complement.